1. Did not bring my lunch today. 2. Also? Forgot my sweater from Old Navy that still has the sensor on it. 3. BUT. Am going to the sprint store today for lunch. 4. I have a headache. I think that caffeine may be necessary. b. AND a caramel macchiato. But it was decaf? c. Maybe I should just have a ½ a coke. 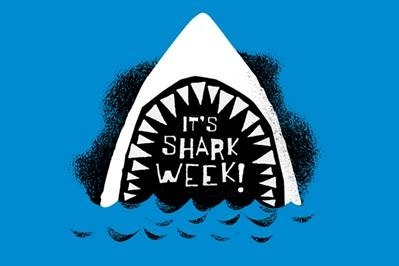 a. I feel like he deserves fair warning for my all around general b!tchy attitude during my rare waking hours because shark week is also making me sleepy. This entry was posted in Emails, Random Ridiculousness. Bookmark the permalink. I love this. Especially because I’m glad to know I’m not the only one. Seriously. I do this all the dam time. Sommetimes, it’s just too much work trying to put together coherent sentences. This is sometimes the best I can do. You know?